Let's take a few moments to analyse the wedding program thank you section. Should you include a thank you section in your wedding program? If so, what should the wording look like? We'll cover some general tips for writing your thank you, and also provide a few thank you section examples at the end of the article. Do You Need a "Thank You" Section? Some couples choose to dedicate one or two pages to thanking everyone who helped them with their wedding. Other couples opt instead to thank those who assisted with their wedding in a more private manner. 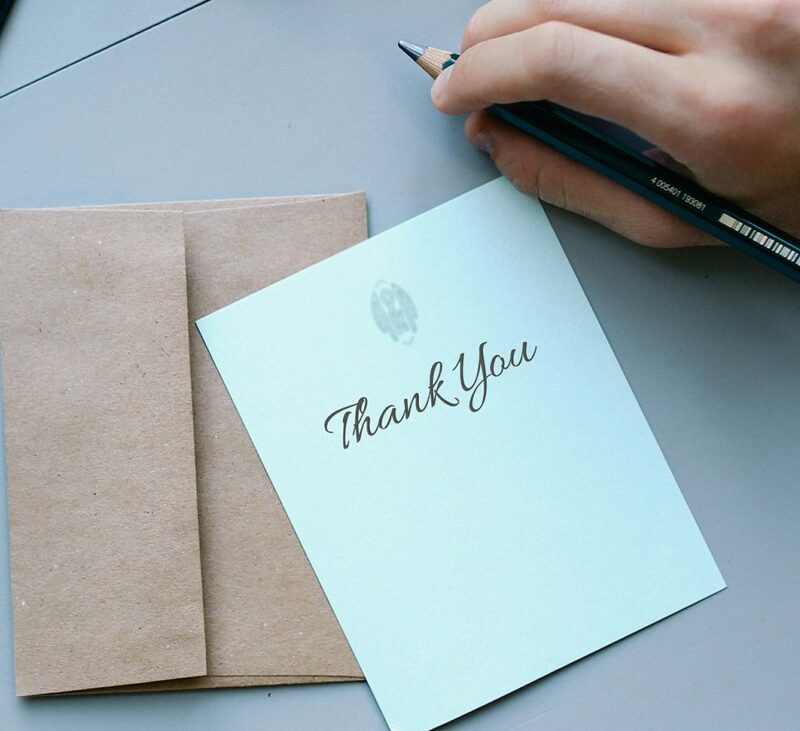 Whether you include a detailed thank you section or not, it is still a good idea to write a short note on the back of the program thanking all of your guests who took the time to come to your wedding and helped to make your day special. One of the tricky things about listing individuals in your wedding program thank you is that you can easily hurt some one's feelings by leaving them out. In fact, this is one of the main reasons that some couples choose NOT to list individual people and instead opt for a group thank you such as "We want to thank everyone who helped to make our day special." If you do include names, make a clear delineation of who you're thanking. Just the parents? Just the wedding party? Don't thank the groomsmen if you're not going to thank the bride's maids. Should You Thank Your Vendors? Should you include vendors in your wedding program's thank you section? This would include photographers, bakers, florists and anyone else that you hired to provide a service. It seems that lately more and more couples are thanking vendors, but it is really not necessary. There are some exceptions such as if you were offered a discount or if the vendors provided extra services without an additional fee. You CAN include paid vendors, but it is certainly not required. Here is a suggested order for your wedding program thank you section if you are going for the more detailed approach. It is generally a good idea to save the parents for last if they have contributed in a major way to your wedding. When one or both sets of parents are divorced and/or remarried, it can make for a sticky situation when it comes to the thank you page. Thank everyone who deserves a thank you. If your mom is going to be hurt because you thank your stepmother, but your stepmother truly helped a lot then you should still include your stepmother on the thank you page. Talk to everyone involved before they see the program so there will be no surprises on your wedding day. Of course, if you think some feelings are going to be hurt, it's probably best to stick to a less specific thank you message. As for wording, here are a few examples of what your thank you section could look like. We would like to offer a special thanks to our parents: Jane and Greg Ostow, and Lynn and Owen Toben. To our friends, thank you for your love and support. You've taught us how to love and made it possible for us to love each other so completely. And a special thanks to Martha for the donation of floral arrangement for the ceremony and reception. They are beautiful and so are you. We are happy to share this special day with all of you. A big thank you to our families who have been so supportive, and to the "matchmakers" who are responsible for this day happening.